Spend some time in Roseau and you must observe a small yellow car driven by an equally small man. Peeking through the glass you will see that he usually has one hand on the steering wheel and the other on his mic cruising through the streets as he blasts the Government. Pappy was once a prominent politician and wealthy businessman who watched his wealth and political career dwindle away as the years went by. Today besides his memories the only tangible thing Pappy has left from his days as a wealthy businessman is 100, 000 pieces of clothing locked up in his home. Leonard "Pappy" Baptiste, 74, grew in the village of Castle Bruce. He is the son of Dalphine Bannis, a farmer, and Pappine Baptiste, a fisherman. Pappy said that his parents could not afford to send him to secondary school. Therefore, he went to work just after he left the Castle Bruce Primary School. Pappy got his first job on the Melville Hall Estate where he was in charge of pigs and mules. As a young boy Pappy knew a poor person's life was not for him. He was determined to make a better life for himself; that's why he saved enough money to travel to Antigua. His stay in Antigua was short. Pappy then moved to St Croix where he started a small taxi company. While in St Croix, Pappy was hired to work for the Hess Oil Company. He was responsible for transporting the company's 16 employees to and from work every day. At that stage in life Pappy felt it was time to leave his business in St Croix and return home. On his return Pappy married Elaine Baptiste and they had three children. Apart from establishing his family life Pappy opened up a large supermarket in Castle Bruce; soon after he started renting a small cargo plane which he used to transport farmers' local produce to the Virgin Islands. Those glory days soon slowed down when Hurricane David came and left Dominica in a state of despair. According to Pappy: "Hurricane David brought me down". He told the Sun after Hurricane David Dominica's agricultural sector was left in a state of emergency. There was not enough produce to transport on a regular basis to the Virgin Islands. Pappy then travelled to London with six of his friends where he bought a 150ft boat. When he returned to Dominica, he used his boat to help farmers transport produce to the Virgin Islands. Pappy did not remain a sailor for long. He told the Sun that on one of his many trips to St Thomas immigration officers seized his boat and so he was forced to return to Dominica. Upon his return he went to the bank where he took a loan to purchase another boat to resume his business with the farmers but unfortunately that boat was seized as well. 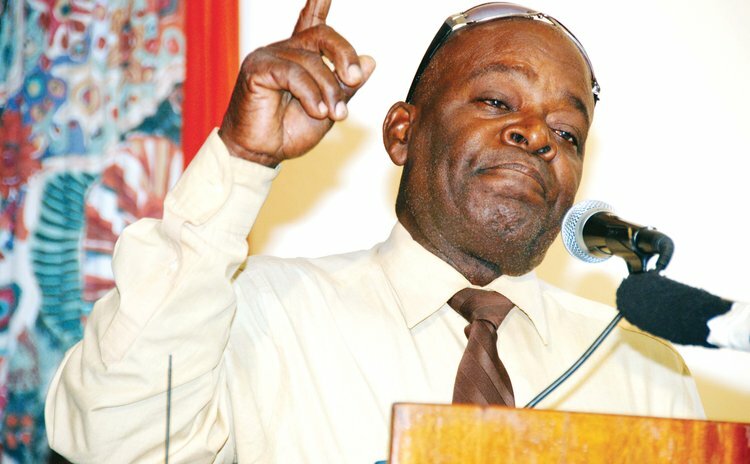 Nowadays it is hard to believe that Pappy, the man with the mic and the yellow car, was an avid supporter of the Dominica Labour Party (DLP) during the Patrick John administration. Pappy's interest and love for politics climaxed when he was appointed a senator under the leadership of Oliver James Seraphin. Pappy served as a senator from January 14, 1980 to April 27, 1980. He told the Sun that it was during that time in government he purchased 2.8 acres of land at Canefield where he now lives. Following that short stint in government, Pappy felt that is was time to enter the political arena as a one-man show. In 1980 he formed the Progressive Party. That party is now in its 35th year but neither Pappy nor his party has won a parliamentary seat. In that same year Pappy's finances were compromised and the once wealthy businessman lost everything including his wife and two sons. His daughter remained with him but eventually she left to be with her mother and brothers. Now, fast forward to 2015. Today Pappy is dependent on his daughter as his main financial contributor and a small financial assistance he receives from the State every month. But the little man in the yellow car and the mic still "plays" politics as if tomorrow will never come.